Please keep in mind that it is never too early to start reading to your children! 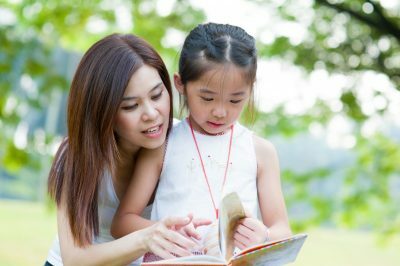 If your child learns early to associate reading with pleasure, she is more likely to enjoy reading on her own when she is older. 1. Keep it Fun and Enjoyable – children like to do what is fun and enjoyable. Make reading fun and enjoyable. Stories should rarely be read in a monotone voice. Bring out the inner actor in yourself. Change your voice, make sounds, and laugh. Most of all make it fun and enjoyable. 2. Hold your Child While you Read – while you are still able to (provided that she hasn’t grown too big); hold your child while you read. Does she have a favorite blanket or toy? If so, incorporate using the favorite blanket or toy in your reading. For example, try using the blanket to create a fort. May be you can read to the favorite toy. 3. Interact with your Child – give your child the opportunity to read along. Ask a lot of questions. Although most books can probably be read in less than five (5) minutes; lengthen the reading process. 4. Read Books about What Interests your Child – Is your child excited about Dora the Explorer? What about Peppa the Pig? What about Curious George? Try to find books about things that interest your child. When your child gets older, take her to the library and she can choose her own books. 5. Incorporate Reading into a Daily Routine – Does your child like to be read to in the morning, after lunch, after dinner, or at bedtime? Make reading something that your child looks forward to. At the same time, do not make reading a rote and mundane event. If your child wants to skip her daily reading, that’s okay, too. 6. 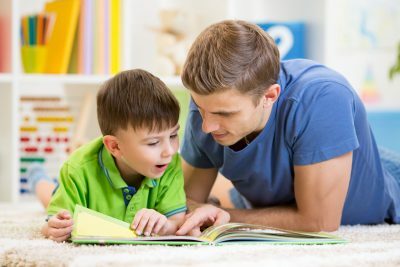 Repetition – Does your child like to be read the same story over and over? That’s okay. Read the same stories again and again. Your child will start enjoying the repetition and become familiar with the way stories are organized. 7. Keep Track of your Child’s Success – Keep track of your child’s success. Use a composition notebook, use the 1,000 Books Before Kindergarten iPhone or Android App; use any method that you want. Give your child praise after she listens to a certain amount of books. Soon, she’ll be asking you to “write down” the books after she hears them. 8. Always Carry a Book with You – Always carry a book with you where ever you go to keep your child occupied.